Mark Jones from Legal & General looks at the future of critical illness cover. 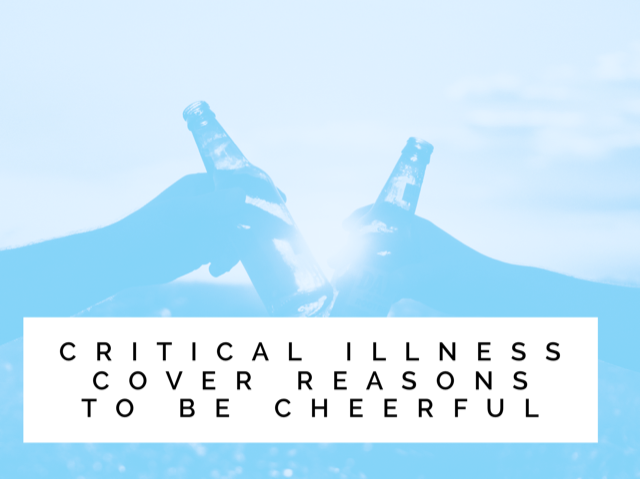 Do we have reasons to be cheerful? You could argue little has changed in the Critical Illness market over the last few years and certainly the conditions race shows no sign of slowing down. However I would contend there has been change and change for the better. A few years ago it very much was a numbers game for many. In theory adding Himalayan tree frog disease would increase the number of conditions covered as much as adding blindness, leaving advisers to determine whether the 28 conditions covered on policy A provided more cover than the 26 on policy B when only 20 were common to both. This made it very difficult for many advisers to be confident they were giving good advice to their customers while ‘the more is better’ approach penalised providers who tried to resist this conditions race. The introduction of comparison services that look at the probability of claiming under a policy was the step change our industry needed. These services support the ability to compare products in a meaningful way, both for the adviser and customer. Providers have also recognised that a sheep dip approach to customers is not what’s required in the twenty first century and are developing the propositions that enable choice and facilitate an informed discussion between adviser and customer. There are good base products that can be further enhanced by additional coverages for those that value them. If a customer has no children they are unlikely to want to pay for enhanced children’s cover, if they value 24 hour access to a GP they will chose to add that to their policy and if they want the most comprehensive cover they can trade up to that. The result is a bespoke solution for an individual customer. I would argue that is a customer who is going to better understand what they have purchased, the value an adviser has added and hence keep the cover for longer benefiting all parties. The third reason to be positive about the future of the critical illness market is I believe we are moving away from an obsession with perfection. If a customer can afford the most comprehensive product and is happy to pay for it that’s great but if not I am a strong advocate of something is better than nothing. Absolutely the product must provide the customer with good value however if the customer cannot afford or does not want to spend the money that will provide comprehensive cover for the whole of their outstanding mortgage surely its better they cover a part of it? That might be through a less comprehensive product or a sum assured of less than the total amount or both. I am very pleased that I hear the bald statement ‘compliance says no’ much less than I used to. Finally a big positive is the increased focus on speed and transparency at claim, which can only benefit the customer and the reputation of our industry. So what about real fundamental changes to the product? Periodically the subject of impact based Critical Illness is raised to future proof the product and remove the ‘windfall’ effect of medical science making some conditions far less critical than they were when the policy was written. There is good logic here and I have seen some detailed work from reinsurers and providers trying to bring the concept to life in a way that provides sufficient simplicity to grab the attention of intermediaries and consumers while maintaining the certainty needed to price it. However this balance is proving elusive. Of course we already have an impact based product in the market. One that is designed not just to provide income if the impact is so great you can’t earn but also the support to get you back to work wherever possible. On this basis income protection could well be considered an impact based critical illness. The question then becomes are we looking for impact based critical illness or lump sum paying income protection?